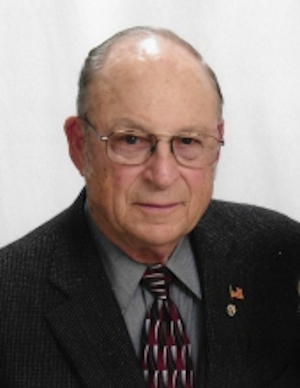 Obituary – Wagner, Leo Joseph « Perry High School Alumni Association, Inc.
Leo J. Wagner, age 83, resident of Perry, Oklahoma, passed away Friday, February 23, 2018 at St. Anthony’s Hospital in Oklahoma City with his family at his side. A rosary service will be held at 6:00 pm, Tuesday, February 27, 2018 at Trout Funeral Home of Perry Chapel. Mass of Christian Burial will be at 10:00am on Wednesday, February 28, 2018 at St. Rose of Lima Catholic Church with Reverend Carson Krittenbrink officiating. Burial with military honors will follow at Mount Carmel Cemetery. Leo was born on September 26, 1934, to Joseph N. Wagner and Josephine Steinfort, in Perry, Oklahoma. 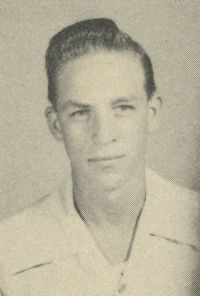 Leo attended several Noble County country schools, St. Joseph Catholic School and Perry High School. Leo married Elfrieda Block, on June 27, 1959 at St. Peter’s Catholic Church in Lindsay, Texas. They had two children Marian and Arthur. Leo proudly served his country for twenty-two years in the United States Army and United States Army Reserve. He retired after thirty-eight years with Ditch Witch and farmed west of Perry. Leo was involved in many activities at St. Rose of Lima; serving as an alter server, lector, eucharistic minister, usher, greeter, church council, and chairmen of the building committee. He was active in the Knights of Columbus as a 3rd and 4th degree member. Leo served on the Perry Public School Board. He always found time to attend and support his children’s activities including: numerous Booster clubs, Boy Scout leader (often referred to by the troop as “Uncle Leo”) and school activity bus driver. He was an honorary member of Oklahoma State Farm House fraternity. Leo was a family man who loved spending time with his family and grandchildren. He enjoyed playing dominoes and cards with family and friends. Leo was a caring man whose kindness and infectious smile will be missed by all. Leo was preceded in death by his parents and brother George. Leo is survived by his wife Elfrieda; daughter, Marian and her husband John Dengler of Yukon, OK; son, Arthur and wife Cindi of Kansas City, MO; grandchildren: Sarah, Chance, John Robert, Kintzli, and Annalise; brothers: Sam and his wife Rosemary of Virginia Beach, VA, John and his wife Phyllis of Perry, OK; sister, JoAnn Stanley of Madill, OK; sister-in-law, Fran Wagner of Perry, OK; and many nieces and nephews. In lieu of flowers a memorial can be made to St. Rose of Lima Catholic Church Building Fund or the Center of Family Love, care of Trout Funeral Home of Perry, 1408 N. 7th Street, Perry, OK 73077.